The Animated Woman: I love you MORE than wine. OMG!!! I NEED this!!!! Love it! I needed to draw it, so I think I know how you feel! We have a lot of this in our house. I ask my boys to clean their toys up or help me with something and I get loads of... Oh wait. 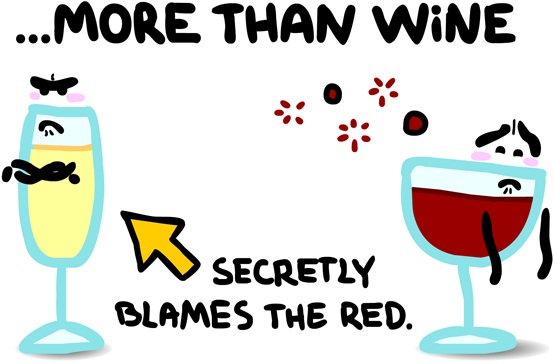 That's whine, not wine. Never mind. It's that pesky consonant gatecrashing your whords again.